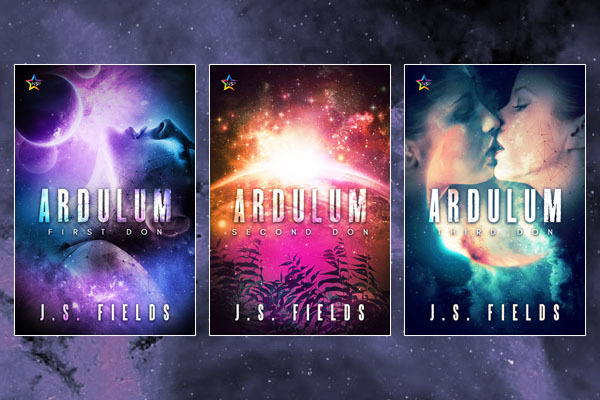 The Ardulum Series by J S Fields – with a Giveaway! 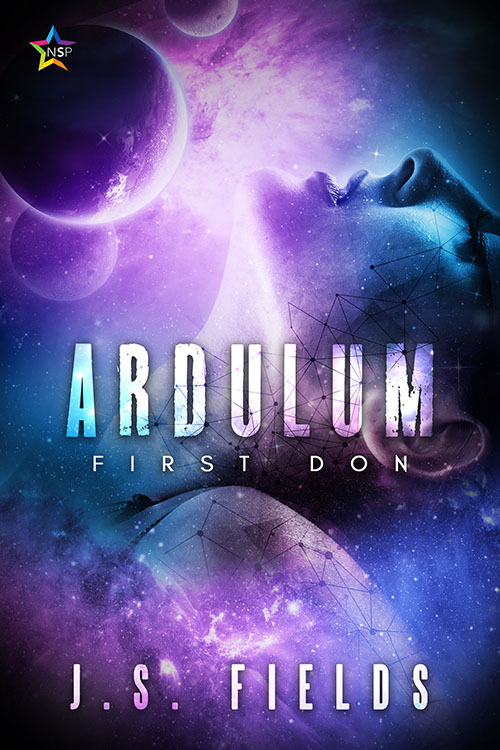 It’s a pleasure to welcome J. S. Fields to the blog today to tell us about Ardulum, her F/F space opera that she describes as “… more SF than romance, but definitely romance elements so… slow burn? Is that a trope? Soul mates trope for sure!” A pleasure because there are all too few f/f stories in the genre and it’s nice to be able to give one a bit of a push, but also because those are three utterly lovely covers. 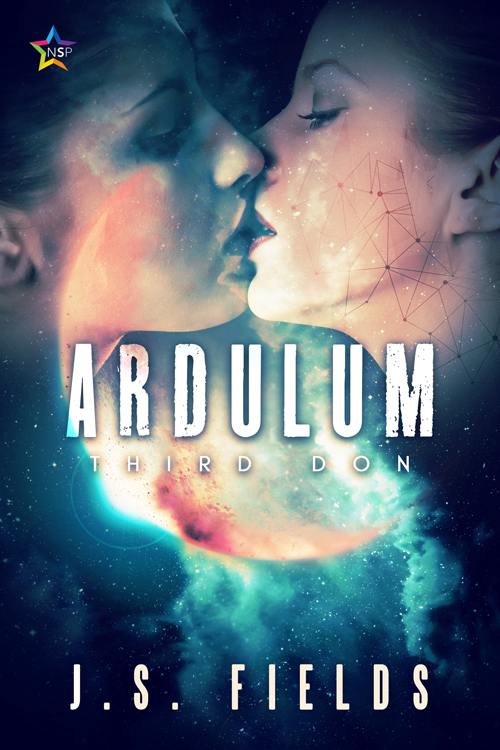 The third book in the series, Ardulum: Third Don, was released on 4 June. Necessary to Read In Order: No, but it doesn’t hurt! 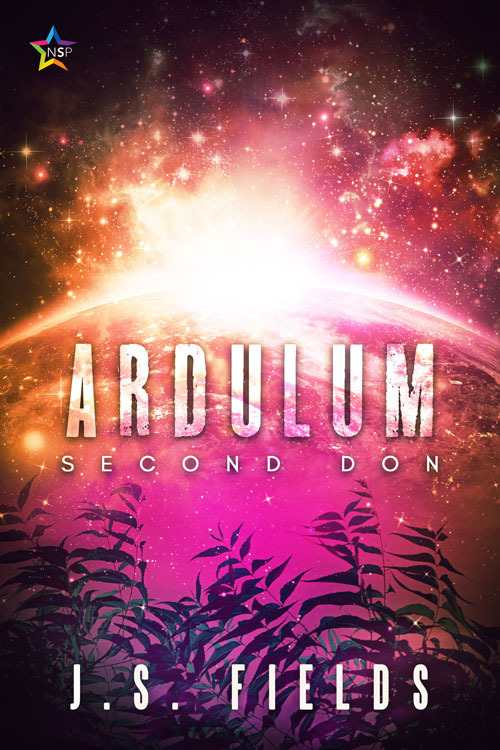 Yorden smacked his hand against the wall, loosing a shower of dust. “Something on that Risalian ship is holding their attention. Get us out of here, before either of them gets any closer.” He pointed to a cluster of ships to Neek’s right, and her eyes followed. Little flashes of bright light sparked and then died intermittently as ships were destroyed, their flotsam creating an ever-expanding ring. A large piece of metal plating floated past the Pledge’s port window. The edge caught and left a thin scratch in the fiberglassas it slid off. Neek wrapped her right hand back around the steering yoke. Each of her eight fingers fit perfectly into the well-worn grooves, and the brown leather darkened a shade as hernaturally secreted stuk smeared from her fingertips. She smiled to herself. Flying a geriatric tramp was still better than flying nothing at all. NineStar Press | Amazon | Barnes and Noble | Kobo | Audio buy link coming soon. Previous Ana Newfolk’s “Made in Portugal” out now!